Adventures in Movies! Episode 13: 'The Infinity Gauntlet' vs MCU – AiPT! 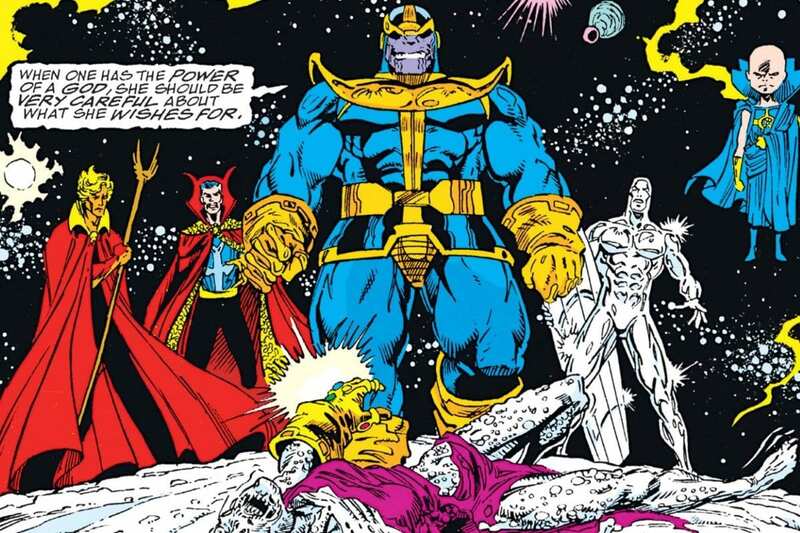 Comparing ‘The Infinity Gauntlet’ to the MCU. Avengers Month continues! This week AiPT! Content and Media Manager David Brooke joins Nathaniel as the two talk about the differences between Marvel Comics’ ‘The Infinity Gauntlet’ and the MCU. The two discuss whether Batista’s big loss at WrestleMania makes Endgame less interesting. After all, why would anyone pay to see a loser? They also discuss the David’s recent article about what story the Russo brothers would like to adapt next. The answer may be surprising. But is it interesting? There is also talk about how difficult it is to avoid spoilers when your job is to write about possible spoilers. David and Nathaniel talk about the movies and TV they have been watching. Mandy, Unicorn Store, and William are all discussed. Nathaniel also talks about why he would NEVER go on two AiPT! podcasts. The week’s main segment compares ‘The Infinity Gauntlet’ to the films of the MCU. The similarities, differences, themes, and themes are all discussed. Last week was a history of the MCU; this week is the history behind the MCU. Adventures in Movies! is hosted by Nathaniel Muir. You can find Nathaniel on Instagram at nathaninpoortaste. You can reach us personally or on Twitter AiPTMovies. David Brooke can be found on Twitter @Nosocialize. You can also read David’s articles here.